Last week I attended a breakfast event with *Canderel at the Marriott by Waterloo where they put on an amazing breakfast spread for everyone to enjoy using *Canderel products. 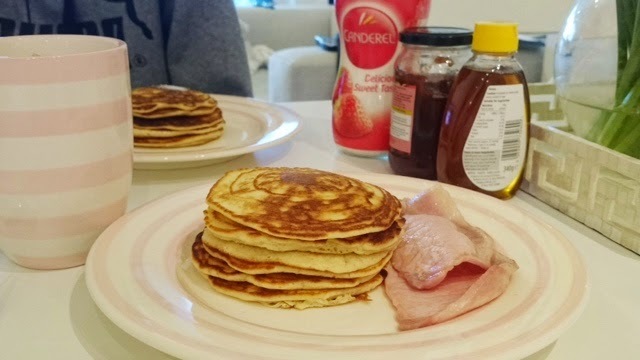 Pancakes were on offer and they were light, fluffy exactly how pancakes should be not to mention how delicious they tasted. 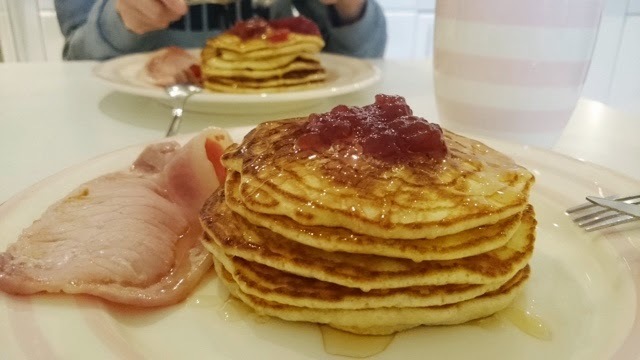 Over the weekend I had a sudden craving for pancakes and the laziness in me not wanting to pop out to buy fruits to use as toppings I had to make do with what was in the fridge / cupboard and I managed to whip up this little plate for brunch! 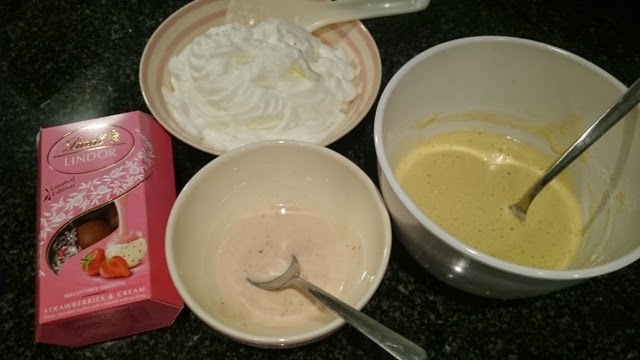 I decided to make mine with a twist by adding some of these delicious *Lindt Strawberry & Cream Chocolates in the batter mix. It gave the mixture a bit of a kick since no sugar is used in the batter mix. 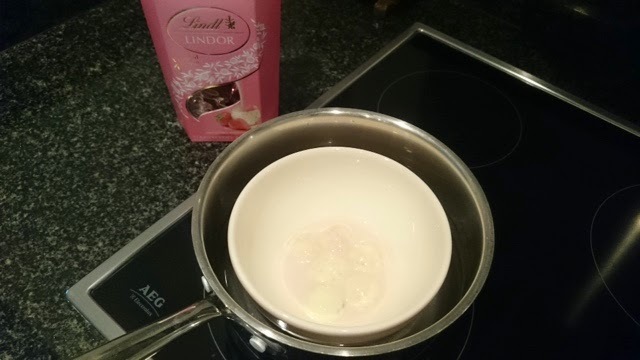 Melt the *Lindt chocolate in a bowl over boiling water and just put to the side for now and take it off the heat. 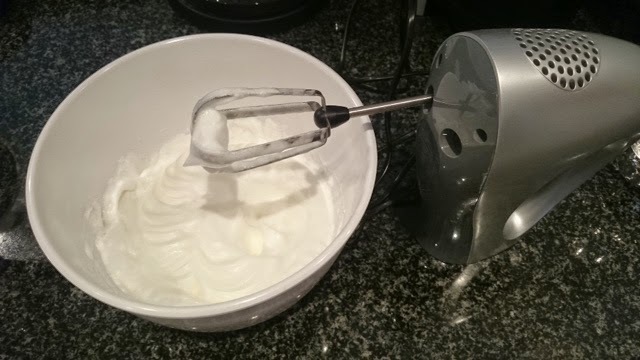 Separate the egg yolk and whites and whisk the whites until they peak and put to one side like the photo below. 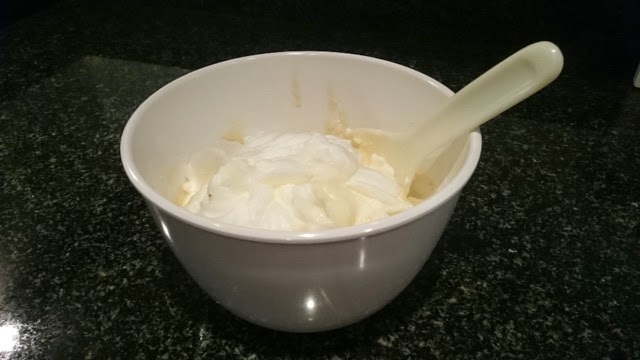 In another bowl mix up the rest of the ingredients - milk, egg yolk, flour, butter, baking powder and salt. I used a sieve for the flour to ensure the mixture was smooth and used the electric mix so there were no lumpy bits in the mixture then add in the melted Lindt chocolate and mix that in slowly. Next is scooping the egg whites into the batter mix and fold it slowing keeping in as much of the bubbles as possible as this is what makes it fluffy I think. Once its all folded in you are ready to make the pancakes in the frying pan. 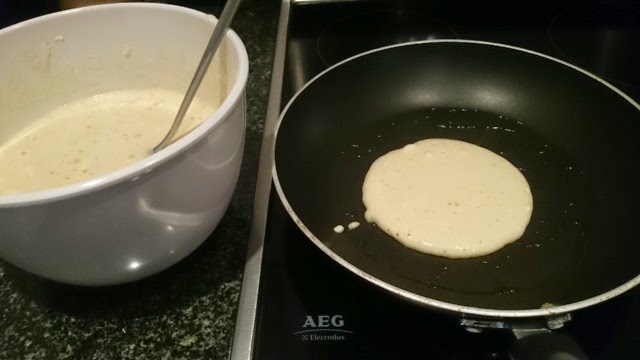 Using a table spoon I would say you need around 3 - 4 spoons for every pancake and its important to keep the same for each one so they turn out roughly the same size. Tip - you must use low heat and let it cook slowly otherwise they burn really quickly. 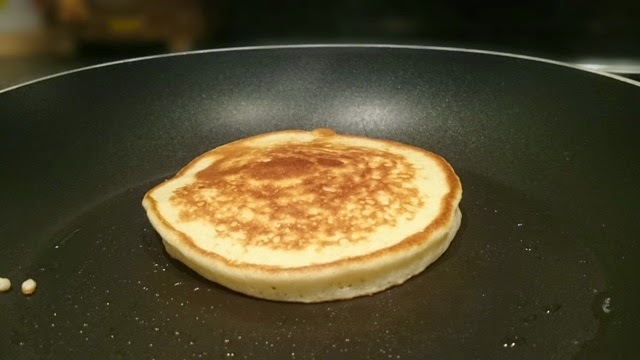 Soon as the batter bubbles slightly its ready to flip over. It may take a pancake or 2 to get the heat right but I burnt the base of my first one! Look how thick and fluffy they look and only do one at a time otherwise it will just all stick together and become 1 huge pancake. Best to use non stick frying pan otherwise it could get messy. The mixture makes around 12 pancakes if you stick to the 3 - 3.5 spoons of batter. 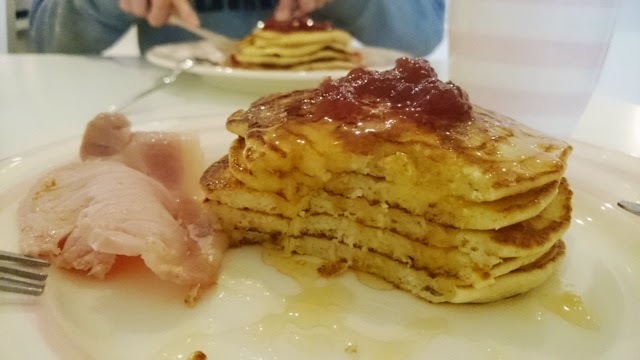 We had some bacon in the fridge so I cooked that to go with our pancakes and as for toppings I put a few different ones for hubby to pick. 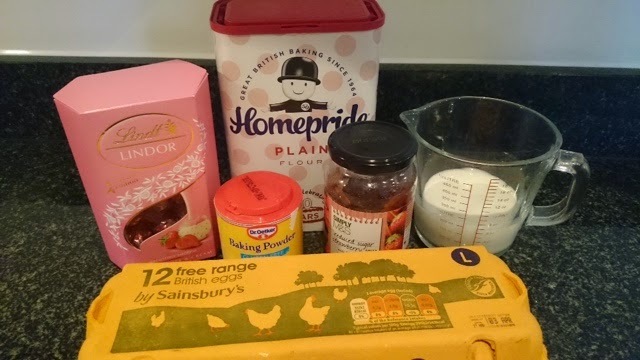 I went for everything, sprinkle of Canderel, drizzle of honey and a small blob of strawberry jam. I can't wait to make this again next time with either fresh strawberry's, banana's or blueberry's. 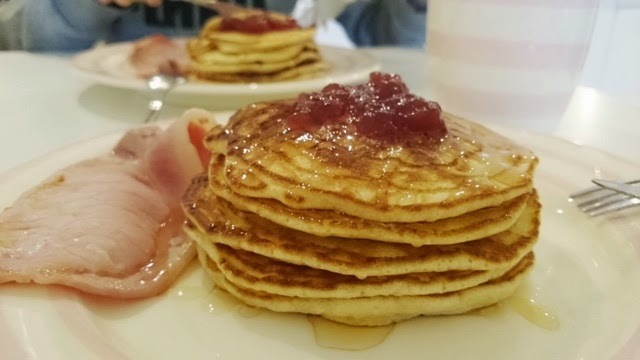 What is your favourite pancake topping? Right, Mandy I am coming to stay with you so that you can cook me pancakes haha. They look great! 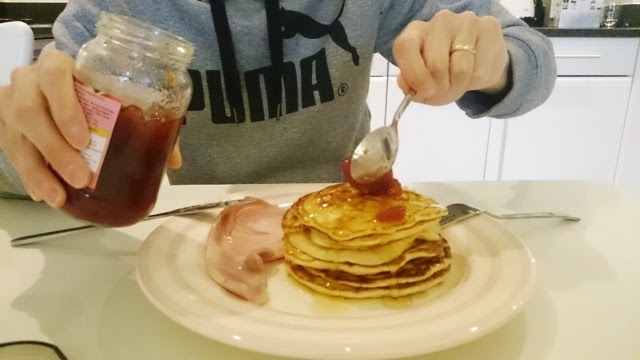 I like bacon and maple syrup if I am ordering them in a restaurant but at home I usually like blueberries and syrup! I am drooling looking back at the photos myself! Lets me know if you give these a try Cat!